Here we have the protagonist, Sandeep, discovering the pleasure of meaning in a word and name (“Alpana”), but the moment could be extended to the novel as a whole and, in particular, its perspective on the city of Calcutta. 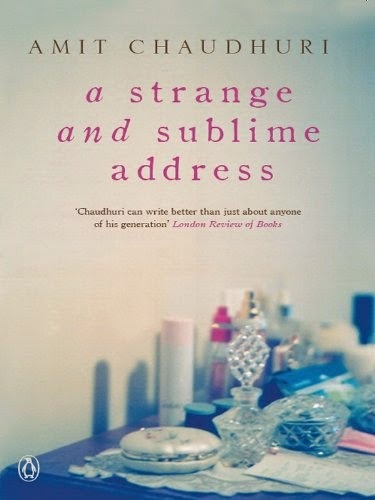 If we accept Majumdar’s proposal that this novel presents a flaneur’s-eye-view of life and the city, then the cityscape of the novel is less a stable conglomeration of stone and steel than it is an ever-flowing multiplicity of sensations. It is a place full of objects, but the objects live in constant moments of being, and those moments of being are created within the perceptions of the people who come in contact with them. Thus, there is no one object, no one city; rather, there is a practically infinite field of encounters, and those encounters erupt and fall into memory within the space of an instant. The city does not exist separate from its inhabitants, then: “they temporarily forgot their own lives, and, temporarily, their minds flowed outward into the images of the city, and became indistinguishable from them” (115). The images exist within their minds, and so the movement cannot be away from those minds (the mind cannot escape itself), but instead away from memory and toward present moments. The self, then, is something of the past — the self is created through self-reflection, and what is reflected is a body of memory from which the self is sculpted. The city offers a temporary escape from the self and its reflected past, a way to move into the present. The present, though, as Sandeep learns, is always fleeting. Once the present is noticed, it is past. In that sense, the city allows a play of signifiers similar to the play Sandeep experiences when he looks at Bengali letters he can’t, formally, read. As Sandeep turns these letters into “‘characters’ in both senses of the word” (75), he does not attach some immutable meaning to them, but rather lets them mean what they seem to mean in the moment, much as he allows the images of the city to mean what they will in the moment of perceiving. The city is not, however, an illusion or a solipsism. It is an assemblage of systems and relations. Like an alphabet, its individual pieces can be put together in infinite series of meanings. The letters evoke the city; the city mimics the letters. The letters, then, are the molecules of the city. 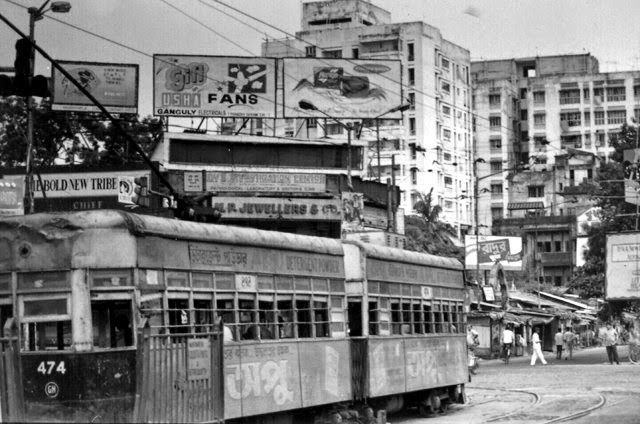 This is perhaps, too, what distinguishes Calcutta for Chhotomama and, presumably, Sandeep — it is a city that resembles the letters of the Bengali alphabet (kinetic, curved, arched, dancing) rather than the letters of another alphabet, for instance the standardized, separated, impersonal alphabet they would associate with English texts. Such an alphabet might be more appropriate for Bombay. The city is an assemblage, a text is an assemblage, and the city is a text. Let’s consider, too, the ways that texts are structured alphabets. A Strange and Sublime Address seems like an assemblage without a plot, a city without a story — and yet cities do not lack for stories. Sandeep feels that the “‘real’ story, with its beginning, middle, and conclusion, would never be told, because it did not exist” (54), and yet this is not exactly true; or, rather, it is true but not exactly useful as an insight, especially if we apply it to the text we are reading. A Strange and Sublime Address has a first word, a middle word, a last word, as it also has a first, last, and middle sentence, page, chapter. These linear arrangements allow patterns to become meaningful. Stories are told, and stories lead into other stories. This is much like a city. The concepts that we associate with the textual effect we call the character “Sandeep” are concepts that are advanced for a child’s mind, but not entirely unrealistic, and it seems to me that his perception that the “real” story of life could not be told because it is too big and overdetermined for narrative representation is unsatisfying. The desire for one story is the problem. Reality is not one story. Reality is an assemblage of infinite moments, actions, and perceptions. Reality is a system of relations. We can name some of these assemblages and systems — we can call them a city, a family, an object — and we can talk about the beginning, middle, and end of each. Calcutta began somewhere and sometime, and it will end somewhere and sometime. Calcutta cannot sufficiently be represented in a story, but it can be summoned in a million stories. Stories, like cities, are systems of instances. The fictive personality of Sandeep selects instances; the reader notes these selections, responds to them, assumes and imagines patterns of meaning from them, and thus keeps the textual effect we call Sandeep alive for the duration of the text. A fictional character is an assemblage just as a representation of a city is an assemblage: an assemblage of details within the text that are held in the reader’s mind and associated with each other. Sandeep is an alphabet interpreted. The patterns of that interpretation, that assemblage, can then form patterns with other interpretations, other assemblages of instants, other signifiers at play: ones called Chhotomama and Abhi and the market and summer … and Calcutta. Letters lead to words which lead to sentences which lead to paragraphs. All lead toward and away from each other. Meaning takes birth in the mind, lives in the present, dies in the next instance, but the instances add up and echo, they curve and arch and dance.